Lewis Pugh, UN Patron of the Oceans, is to sail on two Hurtigruten voyages in 2016. 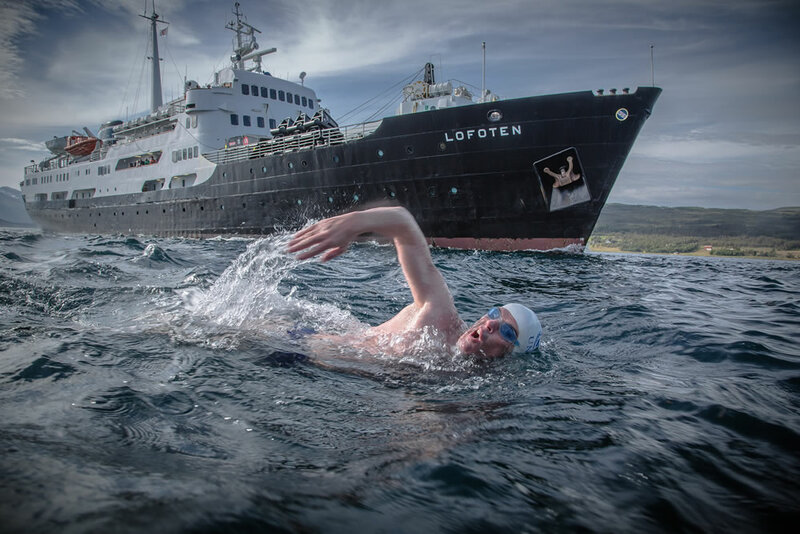 The pioneer swimmer will sail along the Norwegian coast in May and then head on a trip to Antarctica in December 2016. In 2013 the Briton was appointed the UN Patron of the Oceans. The World Economic Forum has named him a Young Global Leader for his “potential to contribute to shaping the future of the world through inspiring leadership” and in 2015 he was also chosen as National Geographic’s “Adventurer of the Year”. On 19 May 2016, Pugh will be setting off from Bergen on the newly acquired MS Spitsbergen on a 12 day ‘Classic Round Voyage’. During the trip he will present lectures to guests and local communities about protecting the coastlines and oceans. The 46 year-old will also lead beach clean-ups and will take part in a number of shore excursions and on-board activities. The round-trip voyage from Bergen will sail along the Norwegian coastline as far north as Kirkenes. Prices start from £2,329 per person based on two people sharing an inside cabin on full board basis. Flight and transfer packages start from an additional £330 per person. On his second voyage in December, Pugh will join MS Midnatsol as she heads to Antarctica. During the trip he will present lectures about his work and will lead kayaking excursions. He will also undertake a series of pioneering swims off Antarctica. The 16 day ‘Discover Patagonia and Antarctic’ expedition starts on 6 December and explores the Chilean fjords and Cape Horn before reaching Antarctica. During the voyage passengers can participate in experiments in the on-board science lab, go hiking and spot some of the many the colonies of penguins. Prices start from £4,123 per person based on two sharing an inside cabin on a full-board basis. The price includes one night in a hotel in Santiago de Chile and return domestic flights between Santiago de Chile and Punta Arenas. International flights start from an additional £1,370 per person.